Understanding the polarization of light is becoming increasingly important in the study of laser physics, nonlinear optics, and optical waveguides. 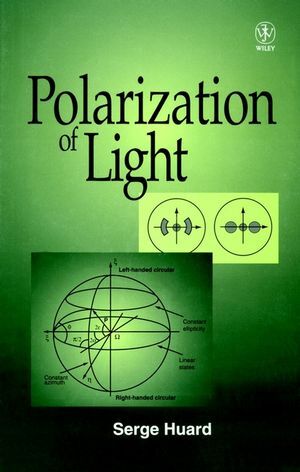 This book covers the basics of polarized light representation, the propagation of light through anisotropic media, the mathematical formalism used, and induced anisotropy, devices which use induced or natural anisotropy and polarization phenomena in guided optics. Discusses both fundamentals and applications in a range of practical devices. Gives a global view of the state of polarization representation. Serge Huard is the author of Polarization of Light, published by Wiley. Light Propagation in an Anisotropic Dielectric Medium. Propagation of the States of Polarization in Optical Devices. Components and Devices Used in the Context of Optical Anisotropy. Polarization Phenomena in the Fied of Guided Waves.